Incorporated in the year 1968, the city of Mississauga is a city in Southern Ontario located close to Oakville in the Regional Municipality of Peel and in the western part of the Greater Toronto Area. 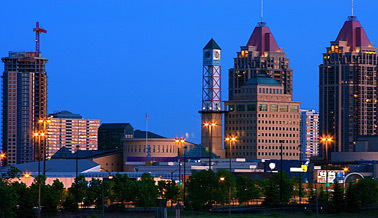 Mississauga has a population of 668,549, it is Canada's sixth-most populous municipality, requiring substantial dumpster rental and disposal bin services. As Mississauga has almost doubled in population in each of the last two decades creating a huge demand for commercial and residential dumpster and disposal bin rentals.